It’s a sticky business, but somebody’s gotta do it! Fondant, while currently overused in cake decorating (in my humble opinion), is a great material for designs on your cake. Lots of people buy commercially made fondant, but it is expensive and doesn’t taste that great. I make my own using marshmallows and a couple other ingredients. It’s easy to make and keeps really well. 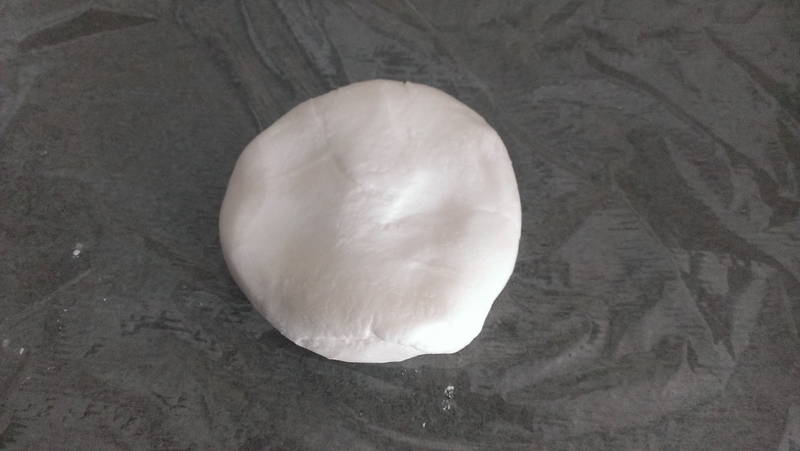 In about 15 minutes, you can make enough fondant for several cakes! 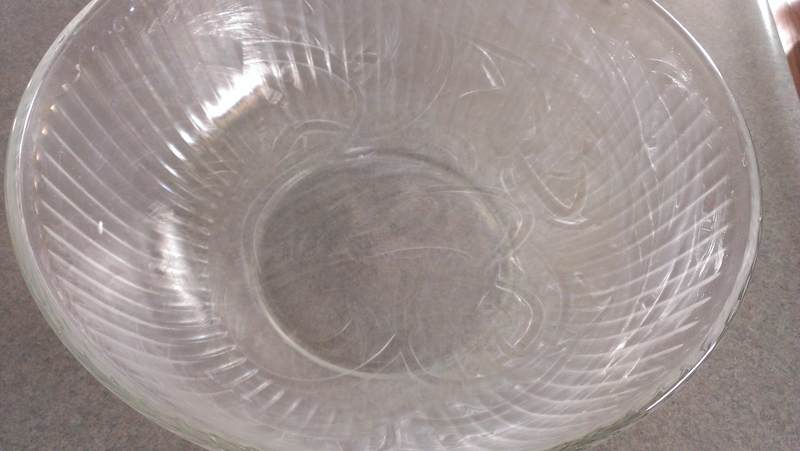 Start by greasing a large bowl with shortening. I use high ratio shortening which is commonly used in cake decorating. 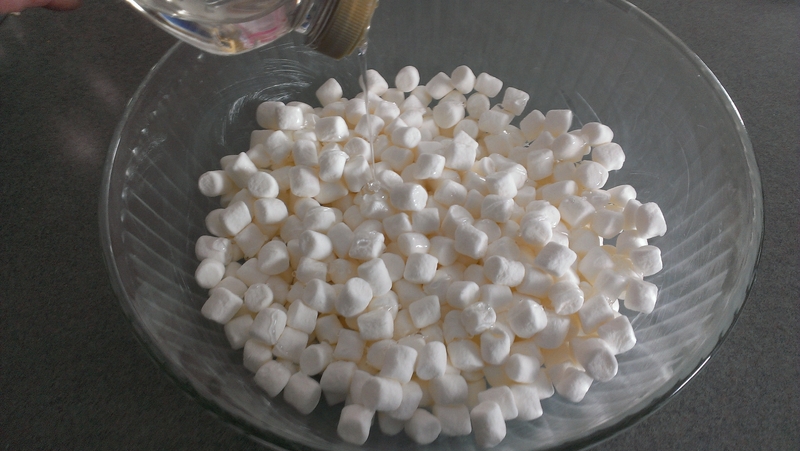 Then, add one bag of mini marshmallows, 2 tsp. water, and a drizzle of corn syrup. I realize that’s not a technical measurement, but I’m not a technical girl. 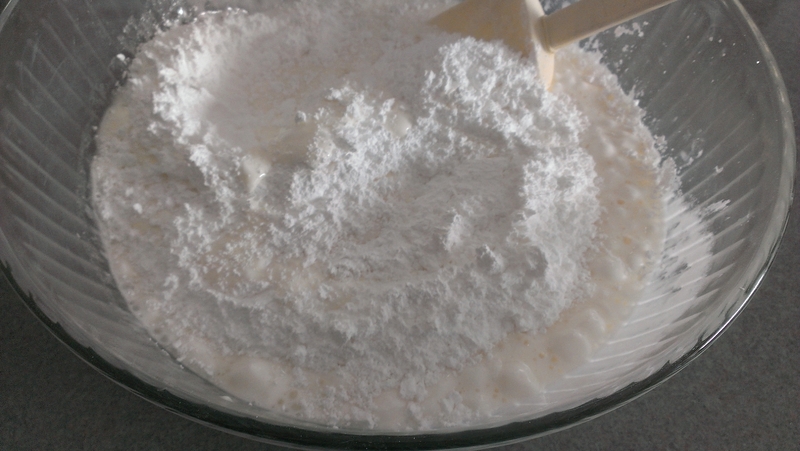 You basically just need a tablespoon or two to add elasticity to your fondant. Fear not, this recipe is hard to mess up. Then, microwave this for a minute at a time, stirring after each minute. I grease my spatula too to keep the mixture from building up on it. Once all of your marshmallows are melted and your mixture looks smooth, add half a bag (1 lb) of powdered sugar. Stir this in until it incorporates and starts to ball up in your bowl. 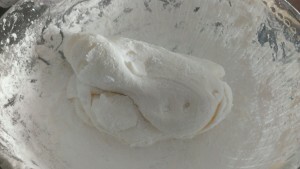 Now you are ready to start kneading in more powdered sugar 1/4 cup at a time until it isn’t sticky to the touch anymore. I now take it out of the bowl and knead it on my powdered rolling mat a few times until it feels soft and smooth. Don’t over knead or it will get tough and dry out. I then separate it into four balls that I lightly cover in shortening. This will help keep it from drying out when it’s stored. Now, tightly wrap each ball in plastic wrap. 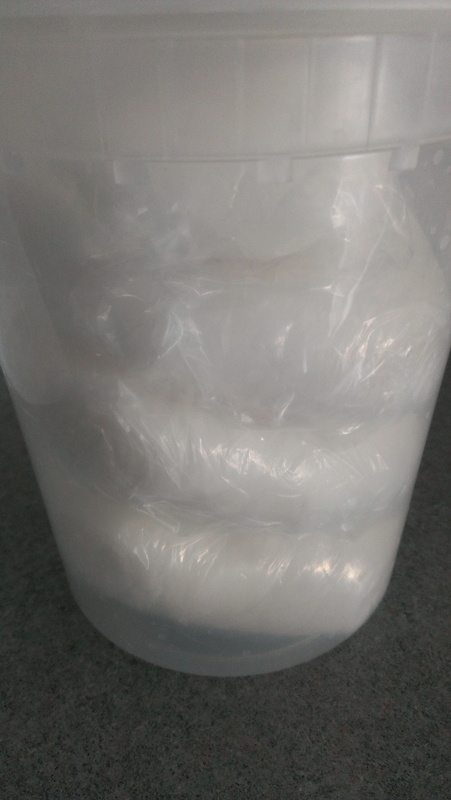 I then stack the wrapped fondant in a tupperware container. I personally like Chinese soup take out “tupperware”. The lids seal tightly and easily. And there you have it! A fresh batch of stretchy, yummy fondant just waiting for your masterful hand. I go through this much every week, but it will keep for two or three weeks if sealed tightly. Some people color theirs when they are making it, but I choose to wait until I need it to color it. When you use is it may become sticky. Just add a little powdered sugar. If it dries out, knead in a little buttercream. It truly is hard to mess it up. Try a batch and let me know how it went!